Most WordPress themes have a built in search feature, making it easy for visitors to find posts on the topics they are interested in. This is especially handy, because posts are shown in chronological order. Instead of making visitors sift through paginated archive after archive, they can type in a keyword or category and jump straight to every related post on that topic. What happens when you want a customized search feature on your WordPress site? What options are available, and what do they do? We’ll take a look at different search replacements for WordPress. WordPress, by default will look for the most recent entry that matches the search criteria, instead of what is the most relevant. This can be frustrating, especially when you write a blockbuster post on a particular topic, and it gets buried in your own search results. This causes major usability issues, and actually hurts your site in the long run. If visitors can’t find what they’re looking for, which may just be that blockbuster post you wrote, they may not come back to your site, thinking that it isn’t as relevant to the topic as it actually is. Basically, your default search feature may be shooting you in the foot. When conducting a search on any website, especially a large one with many posts, there may be hundreds of results, spread across different categories and subtopics. Doing a general search isn’t enough, simply because you have to sift through a ton of results, whether they are relevant or not. Enhanced Search Form expands the normal WordPress search form and adds the ability to filter the search by categories, date, and even tags. This helps website visitors to refine their search, so they’re not looking through 5 year old posts that may be out of date. Remember when we discussed the fact that WordPress search sorts its results by date instead of relevance? Relevanssi replaces your default search, sorting results by relevance. Also, your search results tend to look better. There are a lot of options to choose from with Relevanssi. You can set up fuzzy matching, which matches results with partial words,. You can also highlight search terms in the results, helping visitors to make up their minds as to the relevance of the results much easier. It gives each search result context, keeping readers from having to skim over every single result from start to finish. Another bonus is that you can set it so that search results include comments, categories, tags, and custom fields. This is really handy, especially if your readers are very active, and a returning visitor wants to jump back to a specific comment that may have had helpful information they were looking for. Also, if someone misspells their search, Relevanssi uses a Google-style suggestion “Did you mean….” Which keeps users from having to start all over again. If you need to dig even deeper, there are advanced customization features available as well. Relevanssi isn’t compatible with WPML or BuddyPress. WooCommerce is the go-to plugin for creating your own online store. You can keep track of inventory, bulk upload products via CSV files, and it has a lot of other great features. One of the most important aspects of any online store is that your customer should be able to find the products they are looking for quickly and easily. WooCommerce Predictive Search gives your visitors fast search results, based on what they are typing into the search field. Not only is it instantaneous, it’s beautiful, with a mini preview of the product, a title and a brief description. From the admin area, you have total control over how many products it shows at a time, as well as where it’s displayed. It fits anywhere where there’s a widgetized area on your site. 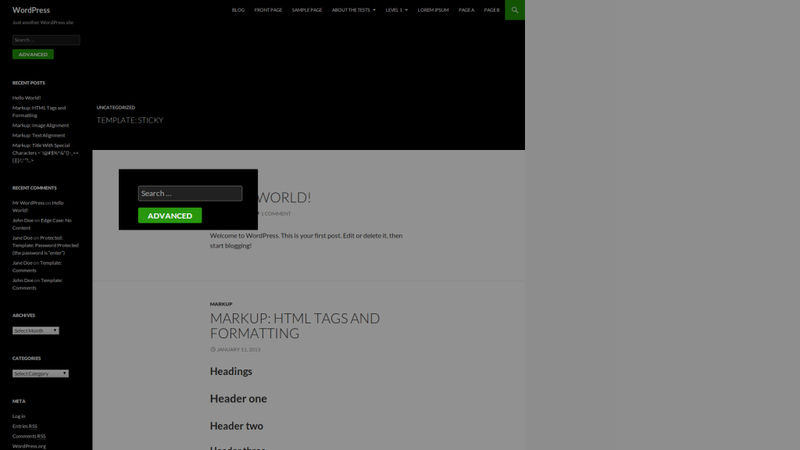 You can place it in the header, the footer, and the sidebar of your site. Another great feature is the ability to have a page that displays all search results. Each result will still have the preview image, and the title. The page even includes infinite scroll, so more results load as you scroll down. More of an add-on than a replacement, Search in Place displays results in real-time as the user types in their search terms. Where Search in Place stands out is its abundance of customization features. You can integrate Search in Place with ecommerce solutions, such as WooCommerce, WP e-Commerce, Jigoshop, and the Ready! Ecommerce Shopping Cart. 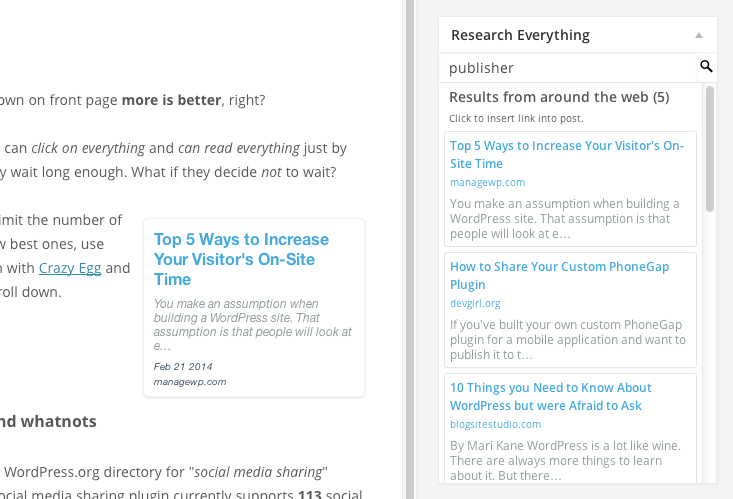 This is great if you want an all-in-one plugin for products, posts, and pages. You can even customize the look of search results, as well as what shows up, such as post titles, thumbnails, dates, and summaries. You can customize the look of your search box to match the look of your website, so it won’t look out of place just for the sake of functionality. Search in Place will highlight the search term within the results it displays, and it will also tell you the post type. With all of its built in integration, features, and customization, this is likely the one I would recommend. Search Everything is a simple plugin to set up and augment your search functionality in your WordPress website. You have a lot of control over how this search plugin produces search results. You can customize everything that’s included in your search feature. One of the standout features of this plugin, is the fact that you can keep it from searching password-protected pages. This keeps password-protected membership pages out of search results. If you’re running a membership site this is essential, because nothing is more disappointing than clicking on the link and being re-directed somewhere else. This plugin, like a few of the others we mentioned, highlights search terms in the results. You can also customize whether or not this plugin searches every page, every tag, every category, comments and excerpts. You can even include custom fields and metadata in your search results. Just as you can include all of these elements in your search results, you can also exclude them as well. And major standout feature of this plugin is a writing helper that allows you to search your posts and link to them while writing. This is a great feature, because interlinking previous articles that are related to this topic within your own site is good for SEO. Being able to do that, while you’re in the middle of writing a post, is an excellent feature for any article writer or blogger. One of the biggest reasons why WordPress is so popular, is because you have the ability to customize your site and add incredible functionality to it with a click of a button. With the right search replacement plugin, you can add powerful search features to your WordPress site, making it easier for visitors to find exactly what they’re looking for as quickly as possible.